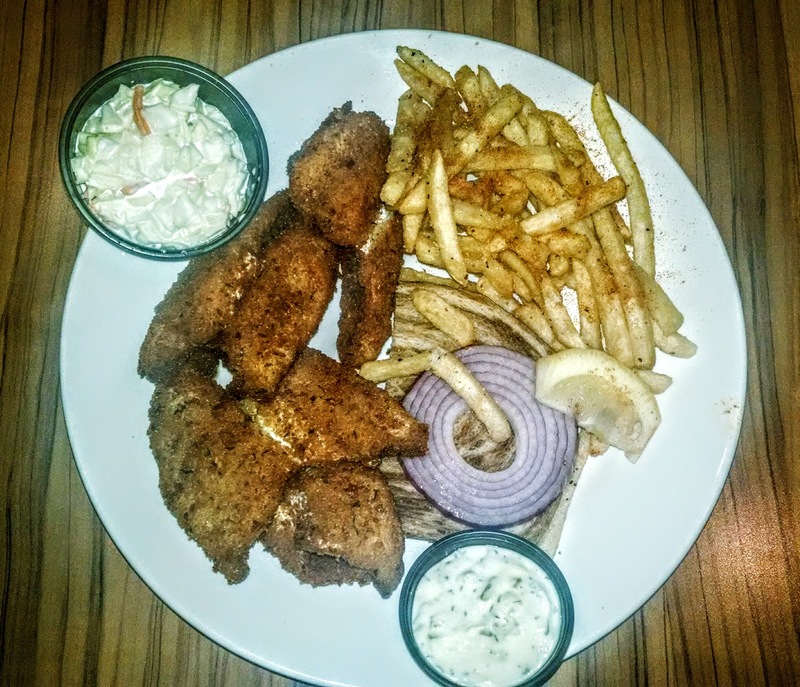 For those in the Madison area, check out what they have to say about their favorite fish fry. This week's fish fry was close to home and a place I've been wanting to experience for a while now. 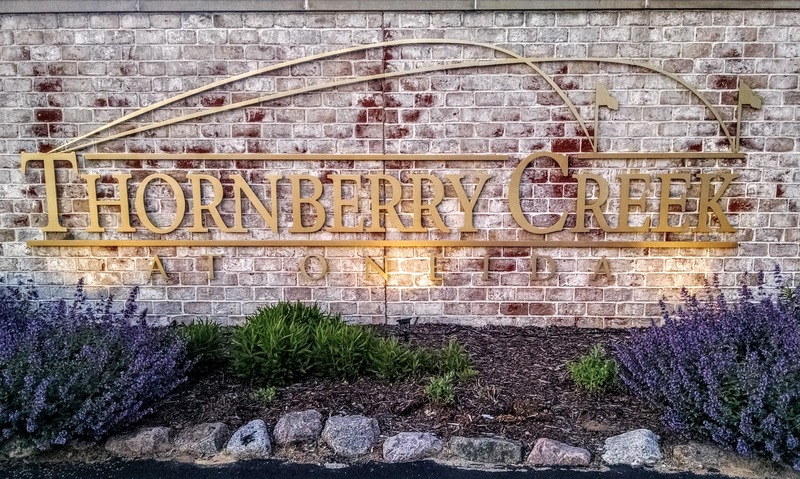 Thornberry Creek at Oneida is a golf course, banquet hall, and restaurant, right in the heart of scenic Oneida. The views available in the dining room and club house are not to be missed. We had a busy day so didn't make it to Thornberry Creek until about 8:15pm and diners were already gone and plenty of seating was available. The restaurant area has a large bar centered in a grand hall, an open style stainless steel kitchen, and ample seating both inside and out. Because there was plenty of room available, we chose to sit at our table right away and have the waitress bring us our cocktails. We all enjoyed a few rounds of hand muddled brandy old fashioneds. 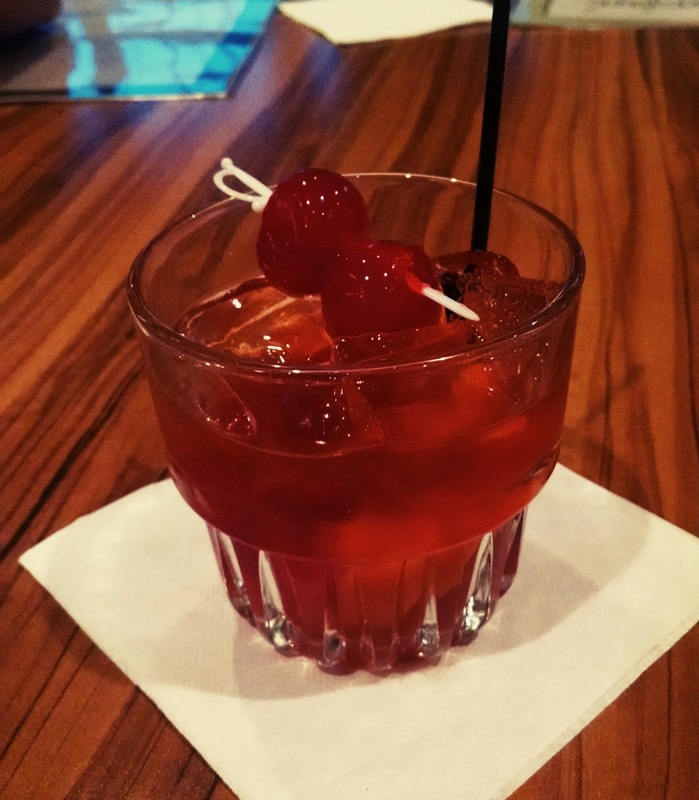 I ordered mine with Korbel and without adding any soda, that way I can enjoy the flavor of the brandy mixed with the muddled goodness of the components of a brandy old fashioned. We placed our orders and in a short time our entrees were ready. The double order of perch came with 4 pieces of fish, which I must say for the market price of $18.95 is probably the most expensive fish fry I've ever had. The fish was cooked nicely and a had a satisfactory seasoned breading. The fries were fried up nicely and had a great crunch to them. The cole slaw was fantastic, the creamy style I love and had the perfect balance of flavors. The meal was complete with a slice of rye bread and thick slice of red raw onion. Thornberry Creek at Oneida offers a dining experience with a beautiful views both indoor and out. I guess you pay more to eat here because of the beautiful view, but I have no complaints about the fish fry, everything tasted pretty good. Looking for a satisfying meal after a round of golf? You're in the right place!